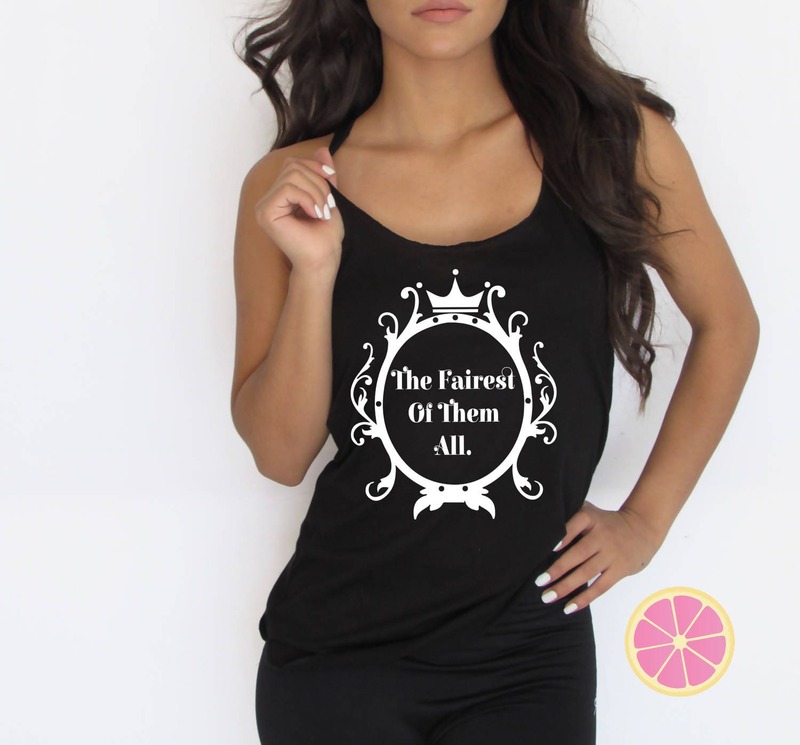 The fairest of them all tank top. teen tank top. woman's tank top. Disney tank top. Racerback tank top made by Pink Lemonade Apparel. The fairest of them all tank top. made by Pink Lemonade Apparel. Mirror mirror on the wall!! !